On a very regular basis those clever - and very thoughtful - people at ghd release limited edition versions of their award-winning irons, each seemingly more covetable than the next. The latest incarnation has to be one the prettiest yet, and definitely sitting at the top of my “want” list right about now! 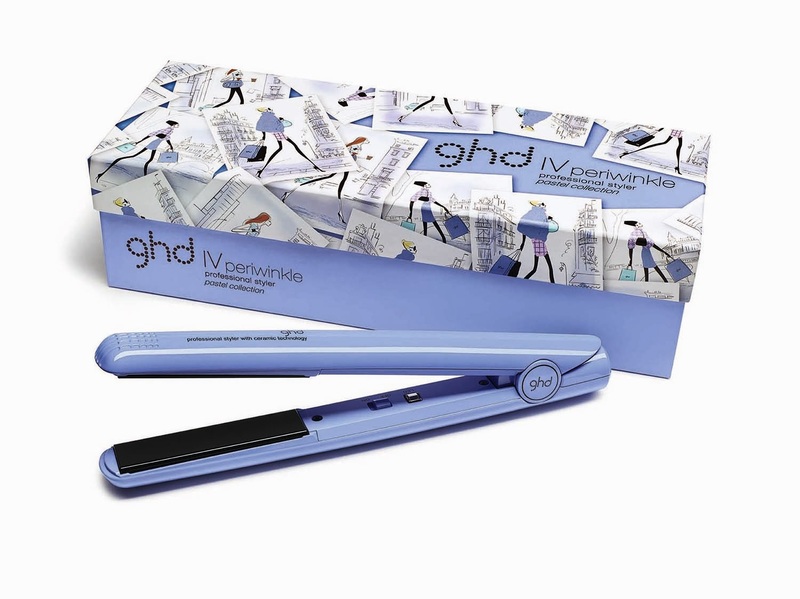 The new ghd offering is the perfectly pretty Pastel Collection, my favourite shade from which is periwinkle blue (above). Inspired by the current springtime shades gracing runways around the globe, ghd’s original IV styler has been transformed into soft gelato shades reminiscent of a 1950’s ice cream or beauty parlour, and I love it. The ghd Pastel Collection is available in approved ghd salons right now, looking good enough to eat! Just got these in at the salon - look fabulous. My favourite is the Periwinkle.